Apply with group more than 4 people and get 1000yen discount! 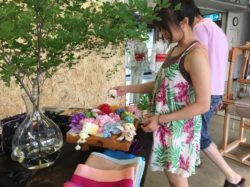 Have you ever wanted to experience a uniquely Japanese art festival while wearing a yukata? 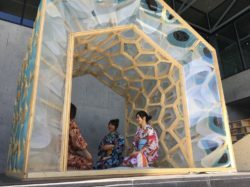 This year the triannual Echigo-Tsumari Art Triennale event will be held from 29th Jul to 17th Sep! This event is considered to be one of the largest art festivals in the world. Why don’t you come and experience this unique event while wearing a yukata? 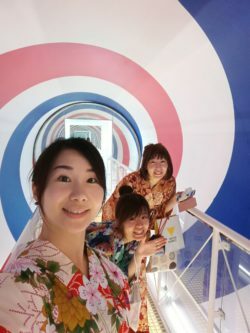 Any photos taken wearing a yukata next to various artworks are sure to be a hit on Instagram! We will provide everything from the wear to accessories to ensure you find the perfect style to suit you. The times for return the yukata are flexible so if you wish to return it the next day this is possible. Our shop is located just 5 minutes Tokamachi station, 10 minutes KINARE, very convenient location. For those coming by car, you can park for free for 30 minutes at the parking lot next to the shop. Location the Daishi Bank, central shopping district parking lot. 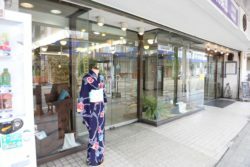 We are open from 9:00-18:00, feel free to come to see our yukata! *Booking is not necessary, you also can just visit directly. 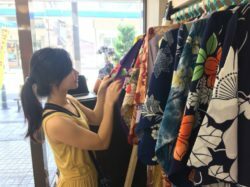 Back in the shop by return time, change to your clothes and return yukata. There are two rental plans differing in rental and return time. 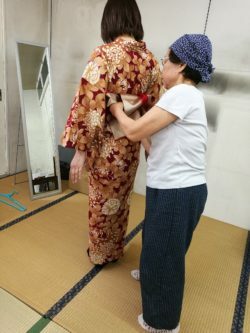 Yukata rental set for women includes yukata robe, undergarment, sash, cord, fabric belt, frontlet, decorative flower and sandals. For men, the set includes yukata robe, obi, cord, sandals and an undergarment. Please note hair and makeup are not included in the price. Please bring identification to identify yourself (driving license etc). Men are required to wear a v neck t-shirt (these can be purchased on the day). Please note it may not be possible to provide you with your prefered pattern or size due to numbers held. 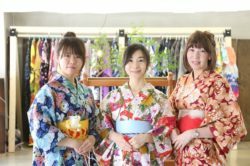 Our yukatas are owned by the local people and are kept in prime condition for everyone’s pleasure. Therefore in the event that a rented item is damaged or made dirty by the customer then will request the appropriate amount is paid to cover the damage. In the event that a yukata is returned late then we will charge 2,000 yen. Reservations can be made on the day and payments can be made in store. 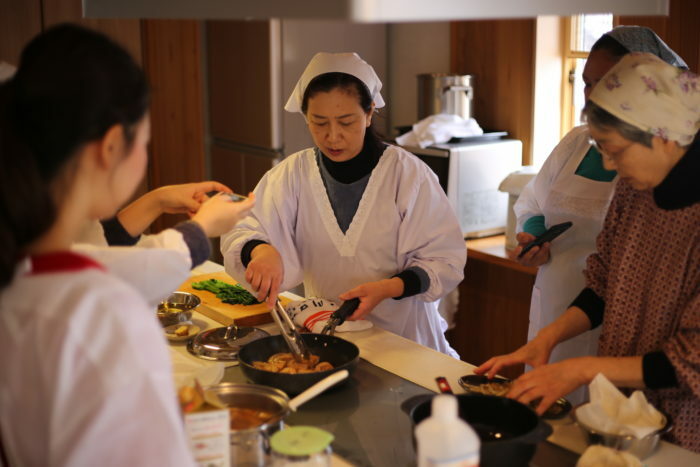 While enjoying ski vacation or art Triennale in Tokamachi, do want to take some hours off from skiing or traveling and learn how to make sushi? 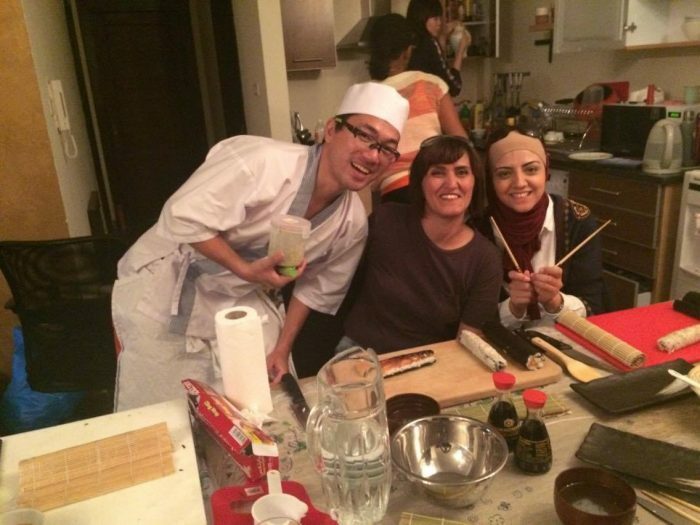 The chef is Yoko who taught foreigners how to make sushi in different countries. Sushi cooking class in English is rare and expensive. Tokyo Sushi Academy charges 40,000 yen for three hours of lesson. If you want to impress your friends and families back home with your new sushi cooking skill, please contact us anytime. [Cooking lesson] Learn to make Tokamachi's local specialities from local "moms"